The myPBX brings together different unified communication elements under its clear user interface, regardless of where you are - in the office, in your home office or on the road. If you are looking for an efficient and yet personal communication across locations or over great distances, video telephony by innovaphone is the solution for you. 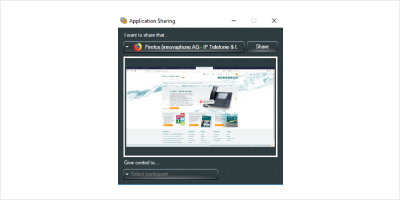 A single click in the myPBX interface starts innovaphone application sharing, allowing you to share selected contents of your screen with your colleague. All this with no need for any installation, configuration, dial-in or authentication as this was already done via the telephone connection. Keep an eye on the availability of colleagues or business partners at all times - no matter what IP phone or application is being used. 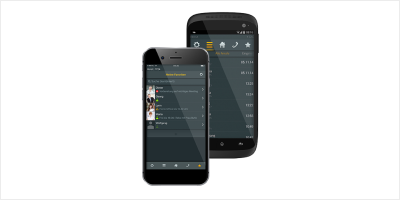 Office integration by innovaphone improves and speeds up communication. 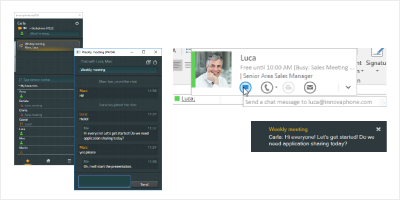 You can now send an instant message and chat with one or more users using either myPBX or Outlook. No matter if you away from your desk or busy in another call, with the innovaphone voicemail as part of the unified communications solution, you are always available so that no calls are missed. 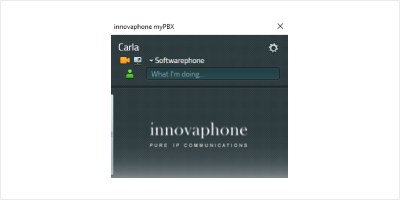 It is a professional, integrated, server independent voicemail solution available across the network for any subscriber to the innovaphone PBX VoIP telephone system. Now communication is easier than ever. 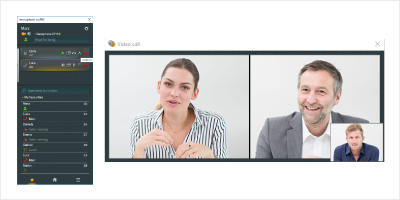 WebRTC allows you to communicate in real time with other users directly over the internet, ad hoc and without additional plug-ins or programmes. Be available whenever and wherever you are with just one number. 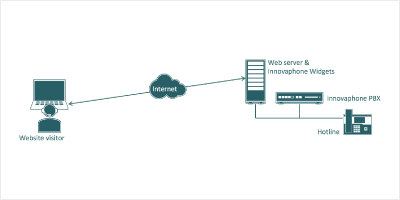 The mobility solution by innovaphone makes this possible, allowing your mobile telephone to be integrated in the innovaphone PBX VoIP telephone system as internal subscriber, making it a fully-fledged extension. innovaphone foftware phone is the perfect choice and a low-cost alternative to the desk phone. 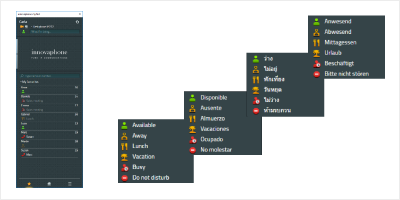 It is installed on the your computer and is controlled by the innovaphone unified communications client myPBX which serves as a telephone user interface.